With ex-smokers and many health professionals now promoting the benefits of switching to vaping as a healthier, alternative to smoking cigarettes, switching to an e-cigarette could be something that you’ve tried to do in an attempt to kick your unhealthy habit. The truth is, many smokers today don’t want to continue lighting up cigarettes, particularly when it’s so apparent that they can cause so many health issues and lead to fatal problems such as strokes, heart disease, and cancer. And, that’s not to mention the effects that smoking can have on your loved ones; secondhand smoke is thought to be even more dangerous and can lead to lung cancer in non-smokers. So, making the switch certainly makes sense, with a UK-based study finding vaping to be a massive 95% less harmful. But, starting out with an e-cigarette can take a bit of getting used to. The first time you vape, you’re likely to cough a lot, and the tobacco e-liquid flavors can often feel like they have something missing from them. Switching one habit for another can be very challenging; it’s no wonder that new vapers can find it hard to commit, and many continue smoking for a while whilst they get used to it. So, you’re not alone. One of the most common reasons why vapers have difficulty completely giving up tobacco cigarettes is down to the type of device that they are using. Many cheap ‘pen-style’ e-cigarettes or disposable e-cigarettes simply aren’t designed for the type of use that you’ll put it through when you first quit the smokes. If you didn’t find vaping very satisfying, it may be worth investing in a bigger, more powerful device. Plus, it’s a good idea to have a spare. Since vaping mods run on batteries, you don’t want to be left without whilst it charges. When choosing your kit, the trick is to strike the right balance between ease of use and an experience that provides the satisfaction that you need. For some, the problem with the above advice is that not everybody finds that a powerful mod is for them; some don’t like the look or feel of a chunky e-cigarette and many new vapers find them too complicated. The technical aspects of vaping can be one of the biggest reasons many are put off, so it’s a good idea to speak to somebody experienced at a local vape shop, who’ll help you find and set up the best kit for your needs. Many new vapors head straight for tobacco flavored e-juice since it’s the closest to what they’re already used to. And, e-juice manufacturers know this, so there’s certainly a lot of choice when it comes to popular tobacco brands. But, the problem here is that most of them simply don’t taste the same at all, so jumping straight to a tobacco or menthol flavored e-liquid may not make the experience as much like smoking as you’d hoped. Although you might want to stick to what you know for a while, don’t be afraid to venture out into the world of flavors available. After vaping for a while, something changes – you no longer desire the taste of tobacco, and the fruity, sweet flavors will become more enjoyable. It’s a good idea to think about what you like in real life. Love apple pie or chocolate frappucinos? There’s bound to be a suitable vape juice for you. And, switch it up! With so many different flavor profiles and starter kits available from reputable brands such as Blazed Vapes, you can be vaping lemon tart one day and minty blueberry the next. It’s easy to find a liquid that satisfies whatever you’re craving. Once you’ve found a kit that you get on with and some flavors that you enjoy, the key is to give yourself time to make the adjustment. Although it’s not ideal, vaping can take some time to get used to, and making the switch isn’t always as easy as some vapers make it look. In short, vaping is very different to smoking tobacco cigarettes, so most people don’t just switch overnight and never look back. For a few weeks or even months, be prepared for vaping to feel different, and simply not as good as smoking. It takes perseverance and willpower to drop one habit and swap it for another, so the more prepared you are for this, the easier it will become for you. Going into vaping expecting it to be the same is one of the biggest mistakes that new vapors make. There are some aspects which are similar, such as the ‘throat hit’ that you’ll get, or the hand-to-mouth action, which can be quite comforting. But, it’s vital to be aware of the many differences so that you can take the challenge head-on. Many vapers didn’t just make a straight switch immediately. If you’re finding it difficult to cut out cigarettes completely, dual-use could be a good place to start. 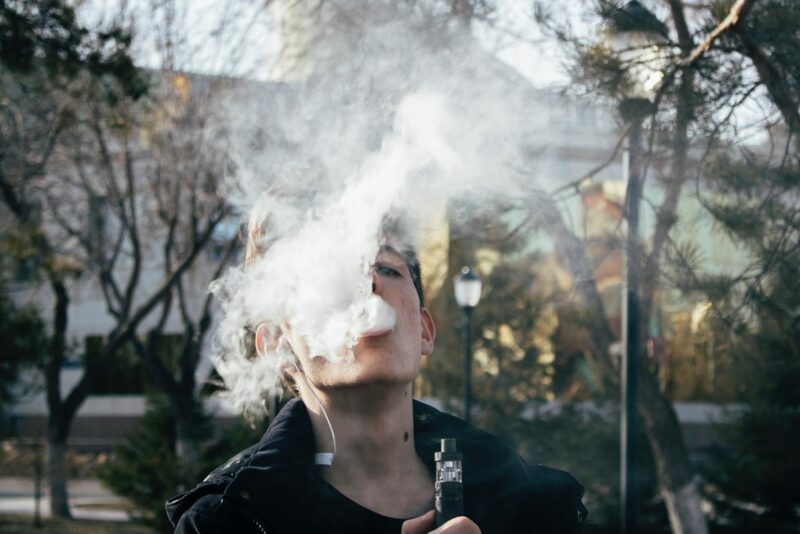 Vaping alongside smoking will mean that you’re getting some nicotine from the e-cigarette, making it easier for you to gradually cut down the number of cigarettes that you smoke. This doesn’t mean that vaping is not a good fit for you – in fact, it can help you quit cigarettes just as well. Many people don’t quit by going ‘cold turkey’ but by cutting down the amount that they smoke, no matter which aids they are using. Never smoking another cigarette again might be the goal but smoking less is also great. Set yourself small goals. For example, if you’re smoking a pack a day now, aim to smoke that pack over two days instead, then three, then four, until you eventually feel like you can rely on the vape alone. Switching to vaping might look easy, but that’s not always the case for many new vapers. We hope these tips made making the switch easier for you!